I finished up the shrug that I was knitting for my office on Friday night. I absolutely LOVE it! It really turned out terrific, I think. 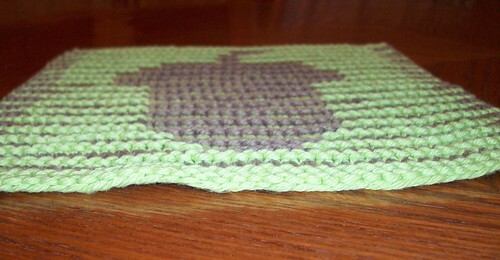 The pattern is simple & easy to understand – I love it because there is no seaming involved, you knit it in the round. I definitely prefer that. :) The back turned out to be even prettier than I expected, too. 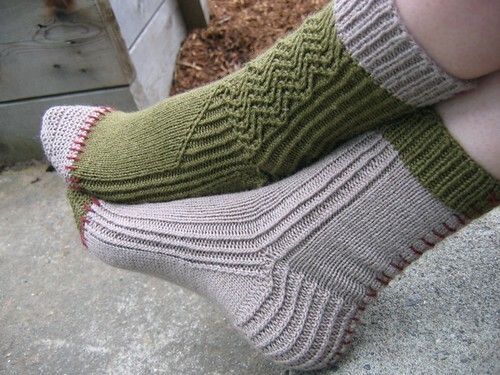 I cast on for another pair of socks, but I think I might back burner those. 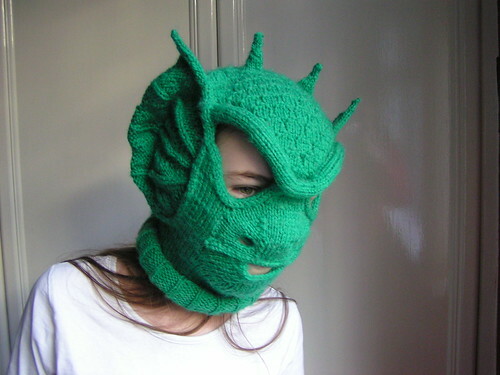 I’m thinking I might knit up another pair for one of the manlets instead. They love hand knit socks, so maybe I’ll start knitting up socks while they are at their father’s house – the holidays will be here before we know it! Saturday I started off with a good long 6 mile run followed by a 1 mile walk. Then I headed to a knitting friend’s house where we snacked, gabbed, knit & spun for much of the day. From there, one of my knitting friends & I went out for dinner to the Pierogi Grill where we had pierogies for dinner – NOM! We shared a platter of potato & cheese and saurkraut & mushroom pierogies and for dessert, we had cherry pierogies. My favorites were definitely the potato & cheese, though. Then we headed down to St. Pete Beach, where we watched the sunset & a terrific belly dancing show on the beach. We missed out on a bit of the dancing as we ended up having a really good, in depth conversation. Now is a good time to get ready for it, so here are some ideas – as always, click the pics to get to the Ravelry pattern page. OMB, these are SO cute! 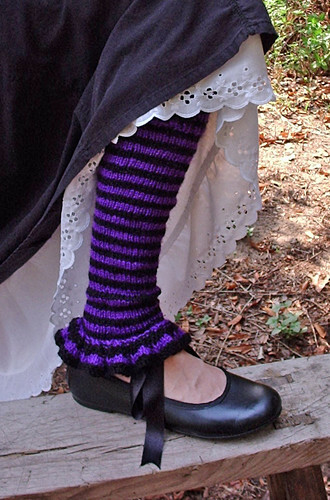 Pattern comes with directions for wrist warmers, leg warmers & a neck warmer. I have some serious love for the designer that created this tarantula! AWESOME! LOVE! I completely LOVE these! 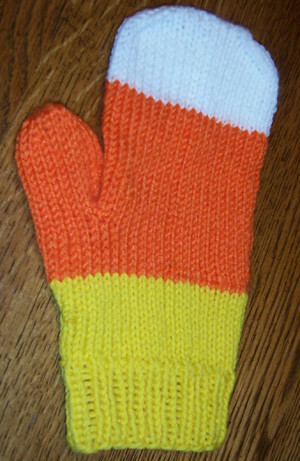 * Candy Corn mittens! Candy Corn! Awesome. * Fantastic. Just... fantastic socks!! * ::giggling:: This is too cute! I love it! Cool looking "Vintage Inspired Spider Scarf"! Finger puppets! I adore the wizard. WOW! Words cannot describe how much I love this mask. Incredible! * I still love these socks. Always will! * Frakensocks! Ingenius!! SO going into my faves. This entry was posted in Running and tagged Free Patterns, Gulf Beaches Holiday Halfathon, Knitting, Running, Skyway Jack's, Today's Ravelry Search. Bookmark the permalink. 8 Responses to What a fantastic weekend! Pierogi Grll is the best! 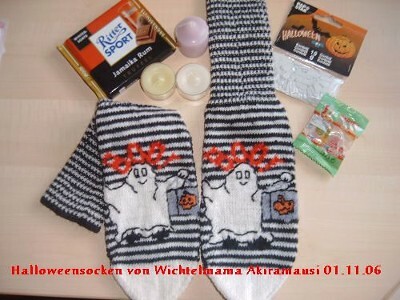 I do love those muertos socks. It was my first visit there – it was great! :) He he he, I knew you’d like them. Darn I can’t see most of the pics from here, but I see the shrug, and it looks really cute…which pattern was that again? Oh yeah, Rav getting blocked & all that! Dang it! :( So I’m sending you the link straight to the designer’s pattern, which is on her blog – you shouldn’t have a problem seeing it that way! ;) It’s Eve’s Mistaken Lace Shrug.